Though Pinterest launched over 2 years ago, it has grown faster than any other site in the U.S., reaching nearly 10 million unique hits per month. This is yet another social media app where people share things they like… but it IS much different. How is it so addictive? Why are user sessions longer than on youtube? It is an extreme in visual enjoyment. 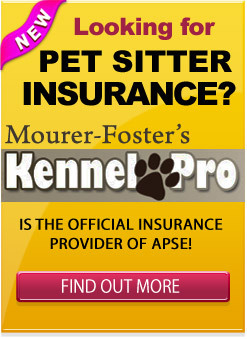 So does it have use for your pet sitting business? It might. As usual, a new method of marketing can be useful depending on the time you have to put into it. 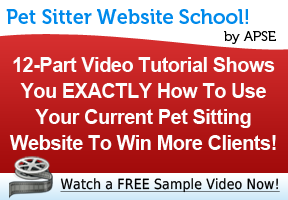 Keeping that in mind, sitters do spend their days with a dream that so many others have: ‘Playing with dogs all day.’ Perhaps you can l et them escape to a fun-filled life while at work… through you. Unlike Facebook or Linkedin, your posts are seen by anyone looking for something under a specific pinboard. For example, if you created a ‘board’ called ‘cute dogs’ and began posting pictures of cute dogs, anyone could repost those pictures. 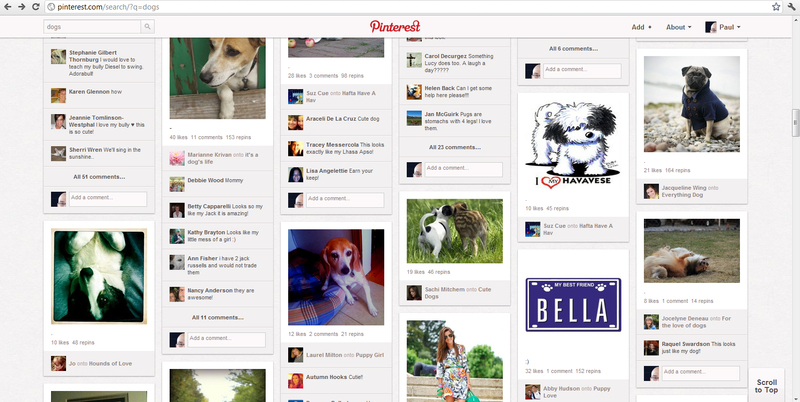 The focus comes in with creating useful pinboard names with pictures / articles people want to reshare. For example, you could put the name of your business… or ‘Cute Dogs in (enter town here).’ Be creative. With so many people now on Pinterest, it is worth it to see if it would work for you. Here are some statistics of pinterest. Review them and see if it fits the current demographics of your clients. About 50% of Pinterest users have children. 28.1% of users make over $100,000 per year. Average session time for users: Twitter = 3.5 minutes, Facebook = 12.1 minutes, Youtube = 16.4 minutes, Pinterest = 15.8 minutes. Pinterest receives more referral traffic than LinkedIn, Google+, and Youtube combined. (More people get to a post on Pinterest than from a referral to the others combined.) People are sharing! 27.4% of users are between 24 – 35. In sum, the typical Pinterest user seems to be young, upper-middle class, and female. It just so happens that this demographic is pretty similar to those who also have a passion for dogs.